Paramore is an American pop-rock band that has been performing together since 2004. Currently, the band is a trio that consists of lead vocalist Hayley Williams, guitarist Taylor York and drummer Zac Farro. They are best known for their hits “Still Into You” and “Ain’t It Fun”, and for Williams feature work on songs like “Airplanes” by B.o.B. Their latest track is titled “Fake Happy”, and was released on August 29th, 2017 as the third single off their fifth studio album, After Laughter. 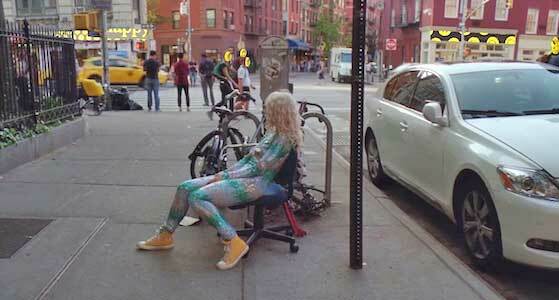 Hayley sits back as the world around her wears fake happy masks. The song is a new wave, pop-rock tune that has a very airy synthesizer composing the melody, but features constant drums that really drive it forward. This actually plays into the song’s message about how everyone is fake happy sometimes, but we all keep driving forward. Williams has stated the song is for all those times where you have to put on a smile and you have to project happiness even though you don’t want to. Nobody likes phoniness, but sometimes that phoniness is critical to self-preservation in your professional or social life. While the song may be musically different from where Paramore started, it lyrically still has that same edge that fans have come to expect from the group. The music video takes place in New York City, and follows Hayley Williams as she makes her way through a sea of people wearing fake smiles. These smiles are digitally added and have a hand-drawn, cartoony feel to them, which adds to the feeling that these fake smiles are barely there. 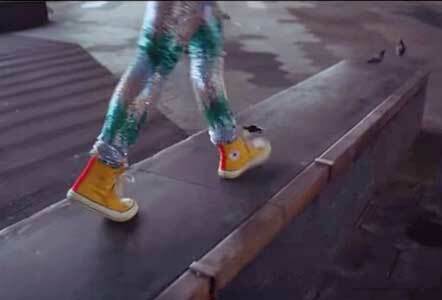 Hayley wears a shiny, blue bodysuit and bright yellow chucks throughout the video, and spends her time in the city constantly walking and interacting with these New Yorkers. The constant walking actually plays very well with the song’s beat. The rapid drums swell with the video’s sense of constant motion. 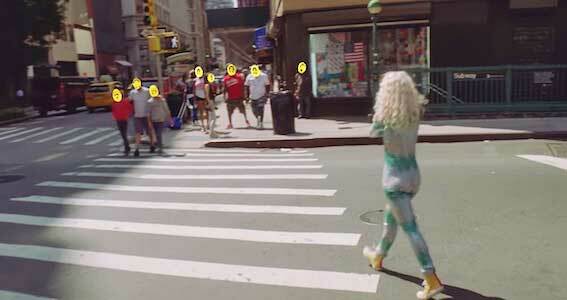 At the end of the video, Hayley turns to the camera and shows her face to the audience for the first time, and we see that she is crying as a fake happy face is put over her. It’s a very cool video that showcases how everyone wears a mask to hide their pain at one time or another, and that it’s empathy that can turn those fake smiles genuine. Hayley makes her way through New York. Click on the links below to get a new pair of chucks to be happy in.